Pullman Bangkok King Power offers 20 Bangkok hotel meeting rooms that cater to your desires with flexible spaces, latest equipment, and highly experienced teams to ensure your success. Send us an inquiry now for more detail and special packages. 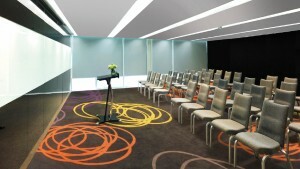 ‘The Second’ meeting rooms have been designed with a unique concept to inspire and engage through the use of the uncomplicated colours and an inviting atmosphere. 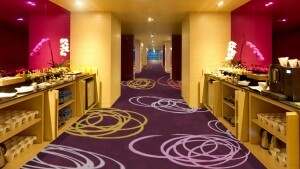 The Second offers the perfect Bangkok hotel meeting rooms for meetings catering up to 50-100 guests with shared foyer. The Second meeting rooms open up to a beautiful botanical garden with outdoor seatings to unwind and Wine Pub, the first wine bar in Bangkok, serving bistronomy dishes and 48 wines by the glass. ‘The Sixth’ meeting rooms have been designed with a unique concept to inspire and engage through the use of the stylish colours and inviting natural daylight. Located on the 6th floor of the Glass Tower, 5 meeting rooms deliver our hospitality with our Pullman signature ‘Get Closer’ service. ‘The Sixth’ meeting rooms come with its signature ‘Chill Out Space’ that bridges five Bangkok hotel meeting rooms together creatively with its open space that is suitable for socializing over delicious meeting breaks. Chill-out space is a private or socialize area at ‘The Sixth’ decorated in the stylish interior designed to unwind, relax and socialize. 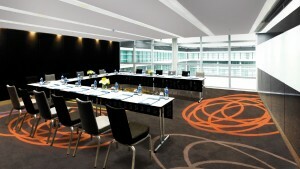 The 2 Chill-out spaces can be tailored-made for your meetings and events in Bangkok. 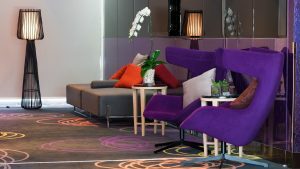 With its lively colours and daylight feature, the Chill Out Space is a perfect area to have a memorable break after a meeting. Do not hesitate to contact us online now for more details about our best Bangkok hotel meeting rooms that could cater up to your desire. Our professional event team will get back to you shortly.